All roads lead to Machu Picchu, or so it seems when you visit the Sacred Valley in Peru. From the classic Inca Trail to a day trip via bus or train, there are many ways to visit the pride of this South American nation. We chose one of the less traveled roads: the Salkantay Trek to Machu Picchu. We knew we wanted to take a hiking trip, and when we learned about Salkantay we knew that it was the right one for us. The Inca Trail can be hard to get a permit for, and it’s crowded with other trekkers. In contrast Salkantay isn’t limited by a number of permits, and isn’t overrun with with tourists. It’s unlikely you’ll run across any other groups at all except at your campsites, and then perhaps only one or two small groups. It’s the perfect way to immerse yourself in the Andean landscape. So what does a week in Peru look like when doing the Salkantay trek? 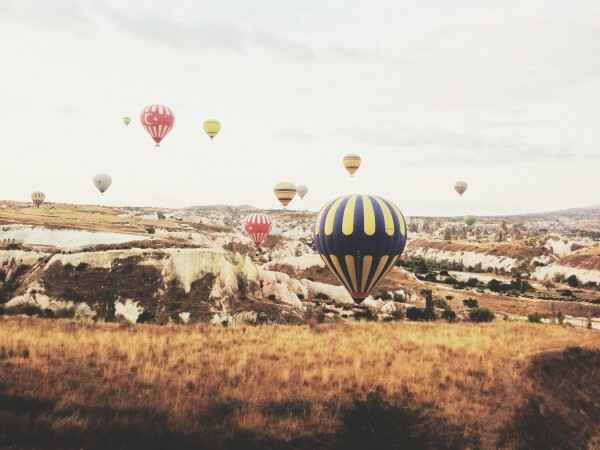 First, it’s recommended that you acclimate to the high altitudes you’ll be experiencing, and the best way to do that is a few days in Cusco, the former capital city of the Incan empire. 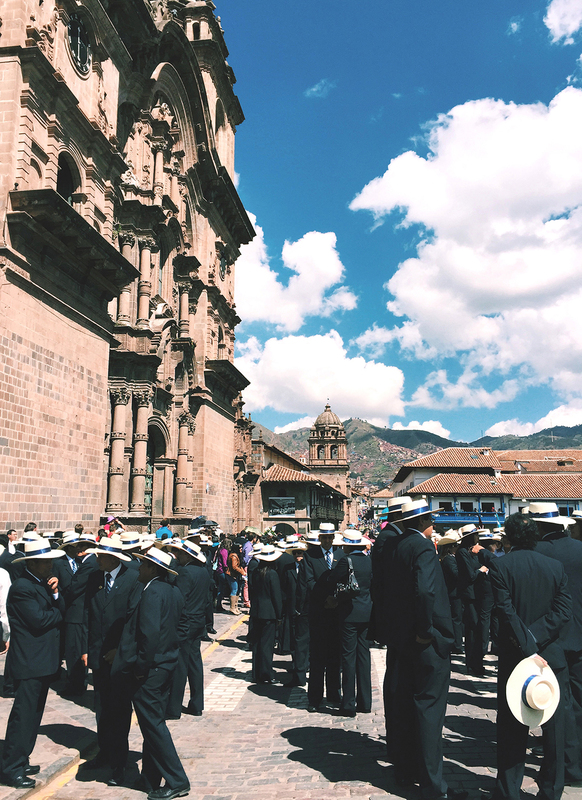 Cusco has plenty to offer visitors while they acclimate to the high altitudes. Now a bustling city of 440,000 people, Cusco is the hub to the Sacred Valley, and if you’re visiting Machu Picchu, you’ll be flying here from Lima. Fortunately, there’s enough to see in and around Cusco that you won’t be sitting idly by while waiting to acclimate. There are plenty of sites that almost rival the grandeur of Machu Picchu if not the setting. 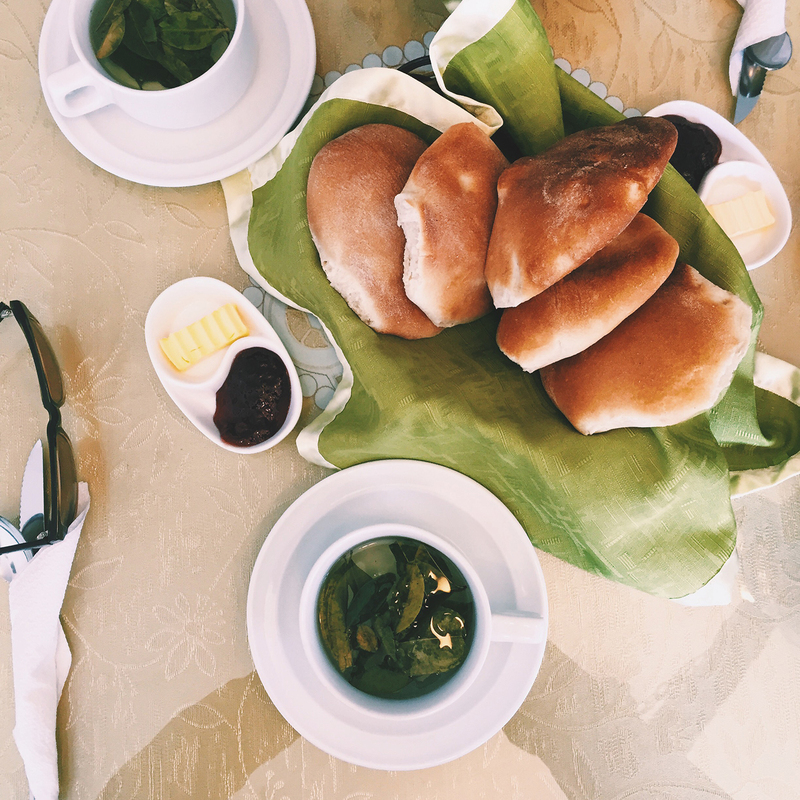 You’ll probably immediately be offered coca tea by your host. Peruvians are very hospitable and love their coca. Supposedly, it helps alleviate the effects of the altitude, but you might also consider getting a presciption for Diamox before leaving. 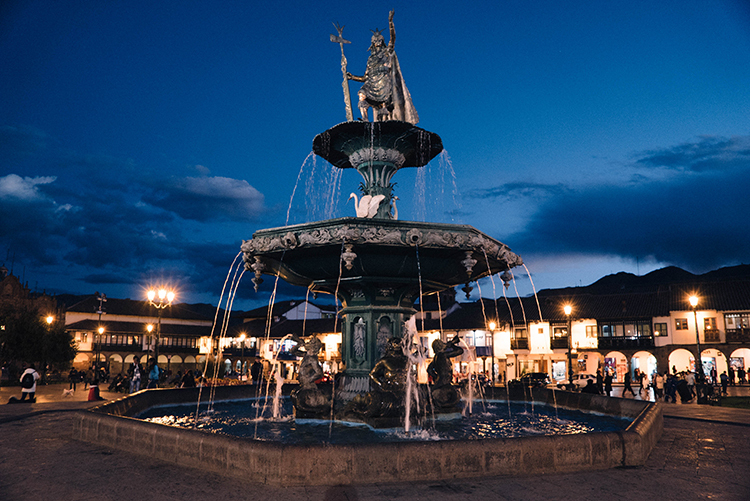 The Plaza de Armas is a great jumping off point to explore Cusco’s attractions. Everyone gathered in Plaza de Armas to commemorate the anniversary of Cusco University. After checking in, a good place to start in any Latin city is the main square, which in Cusco is called Plaza de Armas. From there you can visit the Cathedral of Santo Domingo and the Convent of Santo Domingo, which sits atop the ruins of the Inca Sun Temple, Qurikancha. 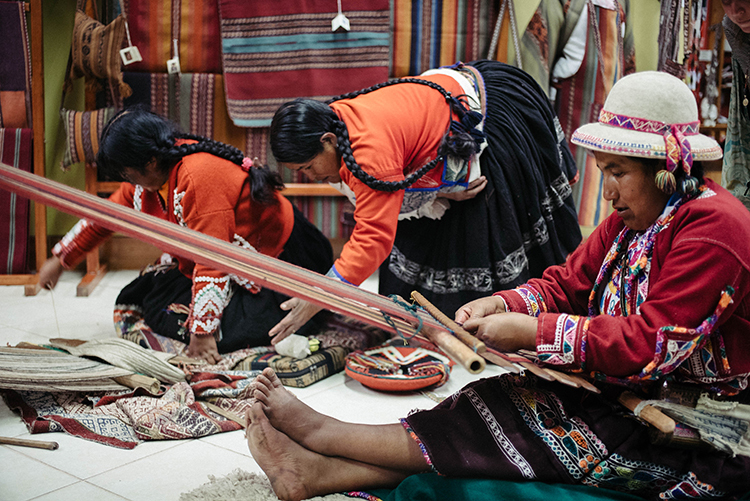 Watch a demonstration in traditional textile weaving at the Centro de Textiles Tradicionales. There are dozens of museums, but unfortunately we didn’t have time to see any of them! We did slip into the Centro de Textiles Tradicionales, (thanks to their late weekday hours) where you can watch local women weave. They also house a fascinating exhibit about weaving traditions and techniques. And of course, this is one of the best places to buy your hats and scarves if you want real alpaca wool instead of the nylon stuff you’ll find in the square. 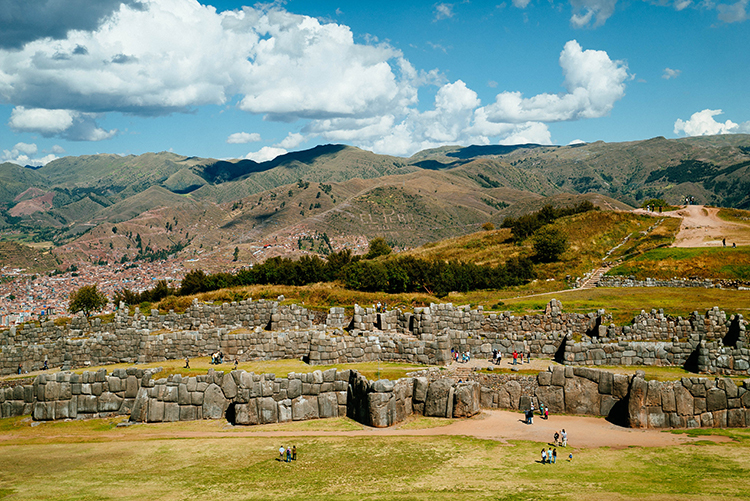 Sacsayhuaman is an impressive site just above Cusco, within walking distance. Llamas trim the grounds at Sacsayhuaman. A good way to test your physical fitness for the upcoming trek is to visit Sacsayhuaman, an Incan site just outside the city with a pre-Incan foundation dating back to the 900s. It’s within walking distance but is a pretty steep climb uphill. You could take a taxi for a few soles if you’d rather conserve your energy, but getting those lungs working is the best way to acclimate. Before you climb the hill, make sure you have drinking water and cash! We made the mistake of thinking it would be fairly cheap admission, and we had to hike all the way back down to the square to find an ATM. If you plan on a visiting a few different sites, it’s best to get the Tourist Ticket (boleto turistico) as it ends up being a better value than paying just for a la carte admission (which isn’t even available for some sites). We went this route since we also wanted to visit Ollantaytambo the next day. The square and its attractions along with any museums you want to go to will fill a nice day with Sacsayhuaman as a highlight. For our second day we wanted to venture out into the Sacred Valley a bit to see Ollantaytambo, an impressive site that used to serve as a sort of rest stop for traveling Incans. Many hiking treks begin or end the journey at Ollantaytambo, but ours would not be leaving us time to explore this impressive city. Garden terraces at Ollantaytambo. The sun temple is also impressive. The easiest and cheapest way to get to Ollantaytambo is by collectivo (shared bus), found on Calle Pavitos, just off Ave Grau. We didn’t have to search too hard for the bus station as a man came running towards us halfway down the street, asking if we were headed to Ollantaytambo. The fare was about $3 USD per person for the 1 1/2 hour journey. 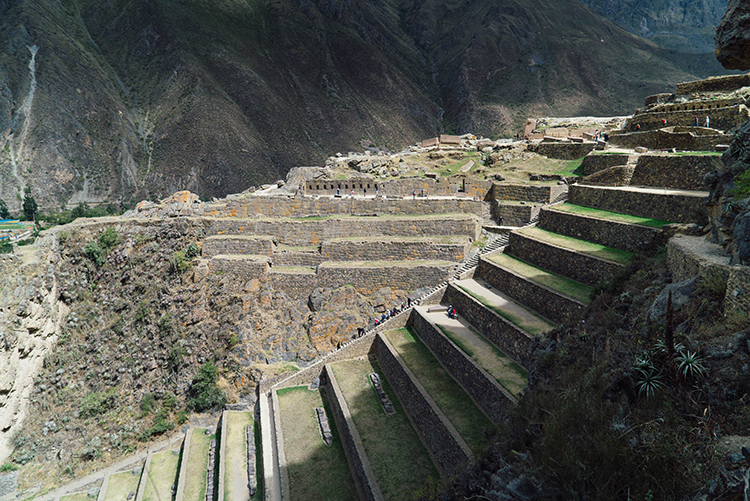 Make sure your driver is headed to Ollantaytambo via Urubamba and doesn’t take some alternate, longer route. Once the bus was filled with passengers we were off. You’re treated to amazing views of the Sacred Valley along the way. 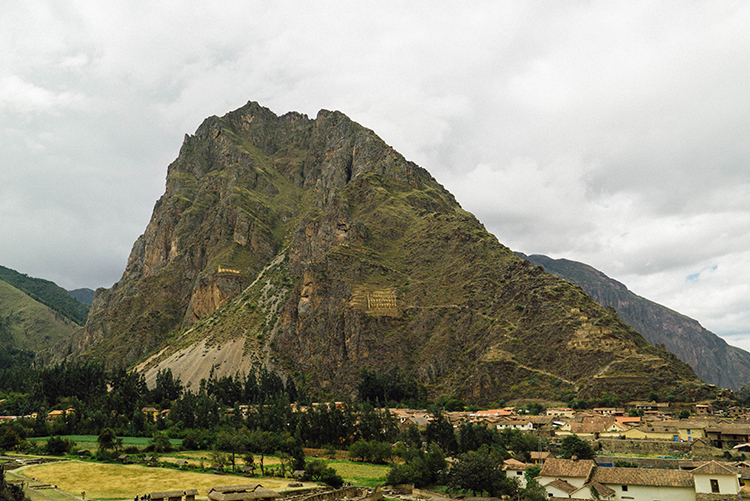 Pinkuylluna offers a challenging hike and spectacular views of Ollantaytambo. 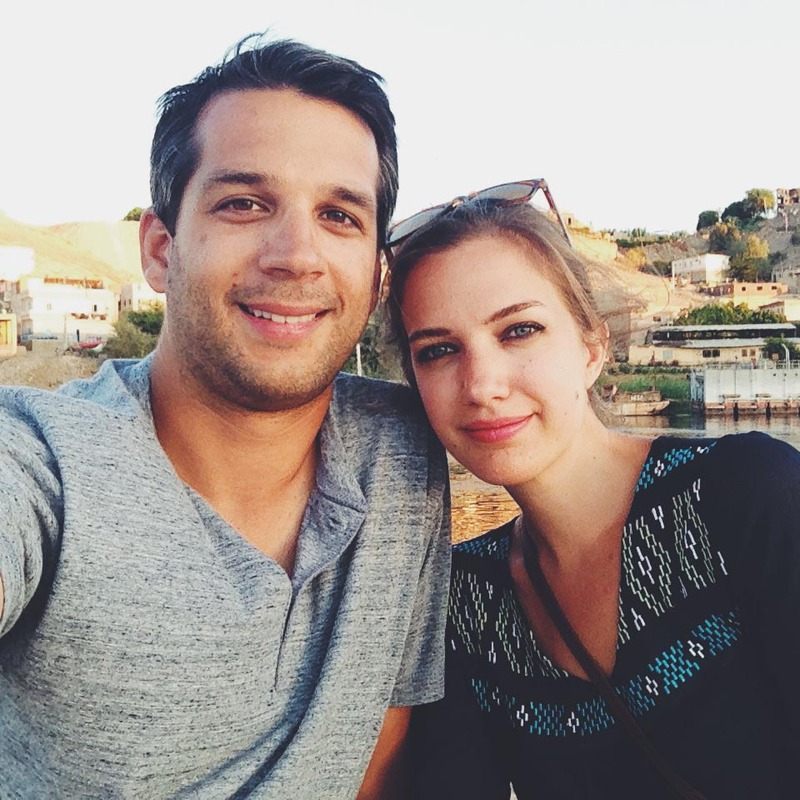 The setting of this ancient fortress is so impressive, we couldn’t stop taking in the view. Across the valley on the mountain opposite the main ruins are the Pinkuylluna Granaries. If you walk the main road in the town and take the first left after the plaza, you’ll find the entrance to the trail to reach the granaries. It’s a treacherous hike, but there is no admission. It was a great warm-up for the steep trails we would be climbing the next day. 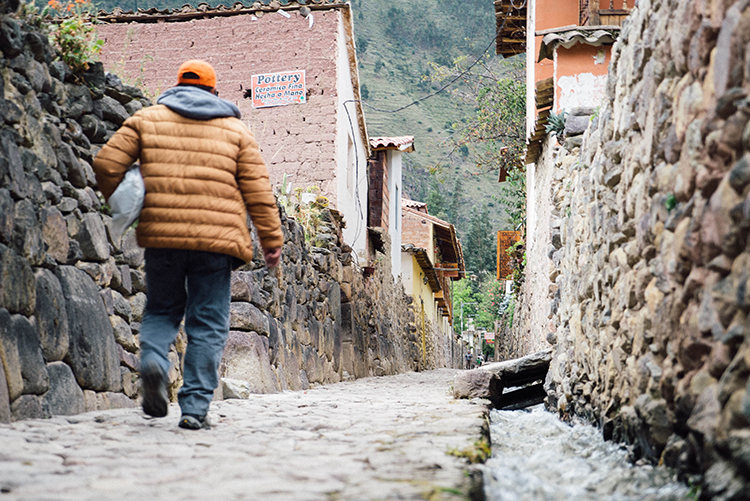 The modern town of Ollantaytambo is charming in its own right. After lunch we decided we still had some time to squeeze in another site or two, especially since we had the boleto turistico, for which we had already paid. We settled on seeing the sights of Maras and Moray which were close together and on the way back to Cusco. Initially we looked for a collectivo back, but since time was running short, we negotiated a rate with a private driver who would take us straight to the sites and then to Cusco after. This turned out to be a wise move as the collectivos drop you off at the main road which is still some distance from Maras and Moray, which would have meant a long hike we didn’t have time for, or hoping to find a taxi that could get us the rest of the way. The private driver cost $50 USD for the four hours we had with him. 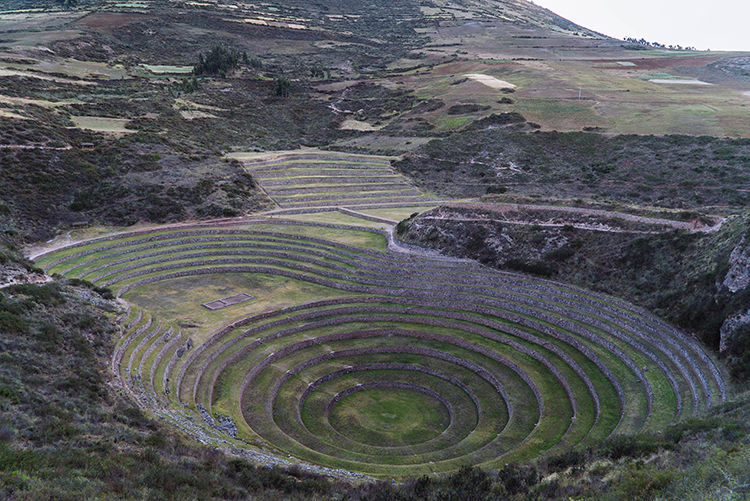 Moray looks like a big layered hole in the ground, and they believe the Quechua used it as an agricultural testing facility. The difference in temperature between the top and bottom layers is about 27 °F and it has a sophisticated irrigation system. The salt evaporation ponds at Maras were breathtaking. Definitely put this on your itinerary. The salt evaporation ponds at Maras were a delightful surprise. 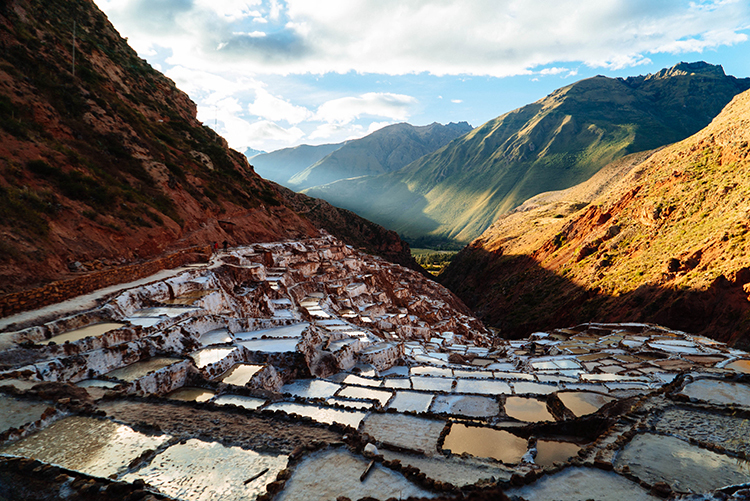 Since Inca times, a subterranean stream of salty water has been directed into channels which run down the terraced mountainside into evaporation ponds. When we visited at sunset, all you could hear was a single worker beating the dried ponds. It was a serene and captivating scene to behold, and easily one of the coolest places we’ve visited. As a bonus, you can purchase salt harvested from there to take back home with you. What started out as a simple trek to Ollantaytambo turned into a very full day with some great sites visited. We kind of winged it, but it’s always a good idea to plan it out a bit more in advance to get the most out of your time. 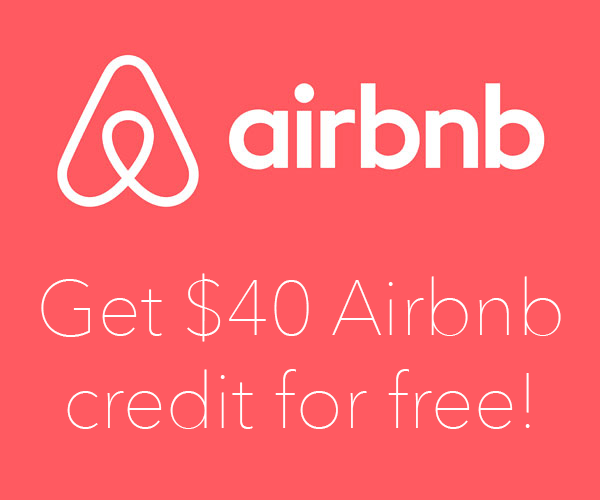 It might be worth it for you to hire a private driver for the whole day and possibly see more sites than we saw. After getting back to Cusco, we dashed over to the offices of our expedition operators for a briefing about the trek, then returned to our airbnb to pack and catch some rest before embarking on the Salkantay trek early the next morning.